If NICC forecasts prove to be accurate, fire danger ratings could become elevated across the Pacific Northwest Trail this year. Areas from the Rocky Mountains to the North Cascades are expected to have “significant wildfire potential.” Yet, with a few basic precautions, elevated fire danger does not have to lead to a wildfire. Although wildfires caused by lightning are a natural phenomenon, too many wildfires today are caused by preventable accidents. According the US Forest Service, “nationally, nearly nine out of ten wildfires are human-caused,” each year. To date, the PNTA is unaware of any wildfire caused by a PNT hiker. Don’t be the first! As fire season approaches, the Association would like to remind our trail community to put forests first on the PNT and take these steps to prevent human-caused fires. It is common for fire danger to become elevated throughout the summer as conditions become drier. When this happens, campfires and certain camp stoves may be temporarily prohibited on the PNT until conditions change. Before your visit, you should always check fire restrictions in effect and be prepared to be flexible. If campfires are prohibited, consider these great alternatives suggested by our partners at the Leave No Trace Center for Outdoor Ethics. While alcohol and twig-burning stoves are popular among ultralight backpackers, they are a poor choice for many trips on the PNT. 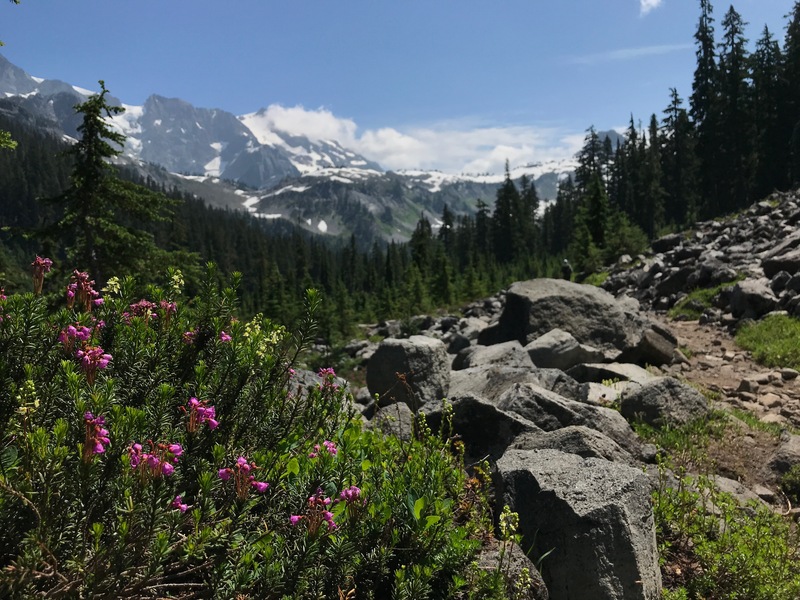 These stoves are prohibited on the dry, Okanogan-Wenatchee National Forest (which includes the Pasayten Wilderness) and may become temporarily prohibited across most of the trail corridor. Canister stoves can provide a safer alternative, because they have an on-off switch and are less prone to user error. You might also consider packing no-cook meals for overnight trips on the PNT. Many dehydrated foods can be rehydrated with cold water, and there are many ready-to-eat foods that are well-suited to backpacking trips. No-cook meals also have the advantage of saving the carried weight of a backpacking stove and fuel, and they can save the time and burden of responsibility that comes with backcountry cooking. Before you leave for the trail, it’s your responsibility to research the latest fire restrictions put in effect by the local land manager. During wildfire season, conditions can change quickly. You can also get the latest information about trail closures, fire restrictions, and wildfire detours by subscribing to the Association’s Trail Alerts system. The PNTA partners with land managers to monitor conditions along the trail corridor. The Association shares key information through plain text emails to our subscribers. This allows us to alert our users to changing conditions, including those who are out on the trail and may have access to limited service. View current Trail Alerts in effect here. Be our eyes and ears on the trail; report all wildfire sightings to the proper authorities. When you observe non-approved fires, report them to a ranger. If you feel comfortable using the “Authority of the Resource Technique,” try approaching the individual in a non-confrontational manner and illustrate the consequences these kinds of actions could have on our public lands. Watch this great video produced by our friends at the Leave No Trace Center.